All music presented on this site is shared under the premise of "fair use"; this site is solely intended for the purpose of education and critique. If you are a rights holder to any of the music presented and wish for it to be removed, simply contact me directly and it will be taken down. 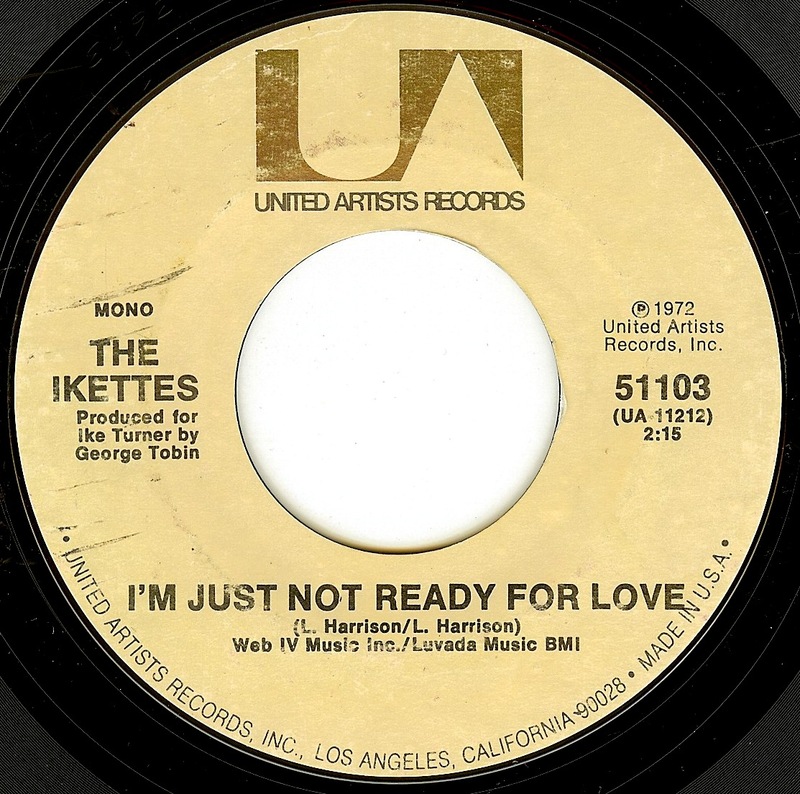 This is the final 45 from The Ikettes on their own, and they went out SWINGIN' with this funky little double sider groover showcasing some powerhouse vocals. 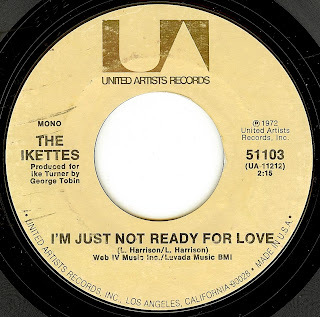 The Ikettes lineup was in flux over the years, but I think that twin sisters Alesia and Tiresia Butler are part of the trio here (it sure sounds like sisterly harmony on the tracks) and either Lynda Shuford Jones or Stonye Figueroa rounding out the trio. Book DJ Derek See for your event!